Perhaps because it’s one of the youngest artistic forms, cinema is often assessed in much different manner that literature, or the visual arts. We discuss it in terms of genre, not in terms of thematic offering. Comparing, for example, Corpse Bride and Up because they’re both animated leads to some dubious discussion especially when – like any art form – thematic elements examined in cinema and the way different filmmaker address them make for some stimulating discussion.Motifs in Cinema is a discourse, across eleven film blogs, assessing the way in which various thematic elements have been used in the 2011 cinematic landscape. How does a common theme vary in use from a comedy to a drama? Are filmmakers working from a similar canvas when they assess the issue of the artist or the family dynamic? Like everything else, a film begins with an idea – Motifs in Cinema assesses how the use of a single idea changes when utilised by varying artists. In its most basic form, loyalty is a commitment to an individual. The best instances of this comes when characters assist one another despite not having long-standing relationships or family ties. The Artist – After silent film star George Valentin suffers multiple career and personal setbacks (damn you, talking pictures! ), he finds himself on the verge self-destruction. He literally sets himself on fire. Enter Peppy Miller, an up-and-coming starlet who helps save George’s life and career. There is no real explanation for Peppy’s desire to help George other than her unrequited love for the actor following a brief interaction. It becomes clear that Peppy generally cares for the fallen film star, even though she stands to gain nothing (professionally) from helping George reclaim his stardom. Win Win – Mike and Jackie Flaherty (played by Paul Giamatti and Amy Ryan) are a New Jersey couple who are struggling financially. Mike is a lawyer who coaches a high school wrestling team. When the grandson of one of Mike’s clients appears on their doorstep, the couple finds themselves helping the troubled teen. Kyle (Alex Shafer) is at first a burden for the family. But slowly Mike gains and loses and regains Kyle’s trust as the Flaherty’s commit themselves to becoming Kyle’s guardians. With loyalty also comes lies and deception. Characters are dishonest and disceitful. We are often unsure of their motives and this creates more paralyzing yet exciting drama. Harry Potter and the Deathly Hallows, Pt 2 – For more than 10 years, the Harry Potter films navigated a world of teen wizards and dark magic, leading to one significant revelation. Because of his love for Lily Potter, perceived villain Severus Snape was always loyal to Dumbledore and therefore Harry Potter. Like the franchise’s young hero hero, we believed that the Potions master loathed Potter, killed Dumbledore, and was working for Lord Voldemort to bring down the wizarding world. 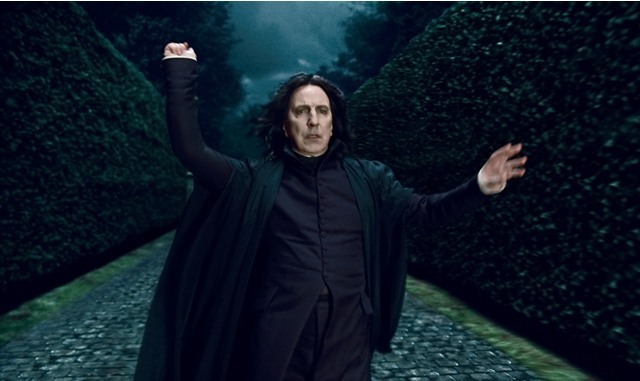 And so, Snape’s death – and his final act to aid Harry – becomes a pillar for the series. The Ides of March – “There is only thing I value and that’s loyalty. And without it, you are nothing.” Jilted campaign manager Paul Zara’s speech to Stephen Meyers about loyalty is arguably the finest moment in The Ides of March. There is no doubt what Zara, who is played magnificently by Philip Seymour Hoffman, believes in as a political advisor and as an individual. 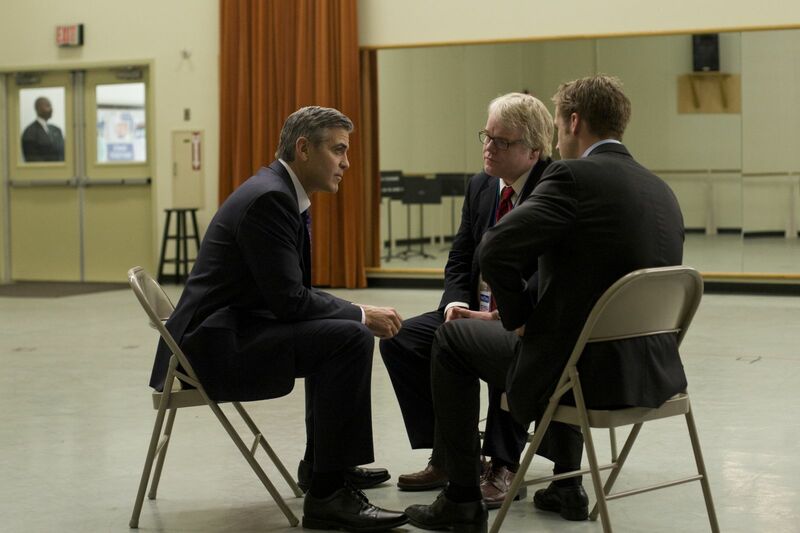 But Meyers, played by Ryan Gosling, has become completely disillusioned by the bitter realities of the campaign trail and so loyalty has become less important than power, control, and winning. 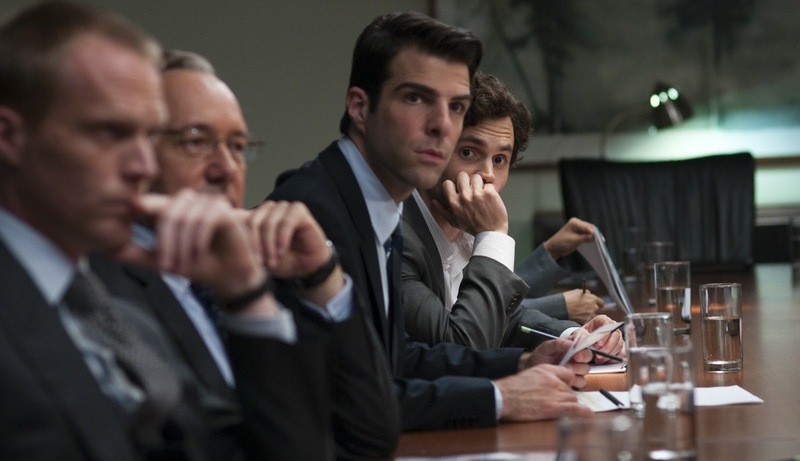 J.C. Chandor’s Margin Call follows the employees of an investment bank hours before a major financial collapse. It begins with long-time employee Eric Dale (Stanley Tucci) being laid off. On his way out, Dale tells his employee Peter (Zachary Quinto) to finish a project he was working on and to “be careful”. Events spiral out of control from there. Slowly information trickles in about the executives who knew of the impending collapse and those who didn’t. Certain characters want out as others get pulled further in to the inevitable crisis. No one, especially the firm’s most loyal and committed client and employees, comes out unscathed. In Tinker Tailor Soldier Spy, loyalty is compromised by lies and deceit. The British spy thriller constantly has you questioning every character’s motives, even those of the film’s central character, George Smiley. We are inclined to trust Smiley and those he interacts with the most. This is because, in part, Smiley remains the most loyal to Control (John Hurt) and the Circus while shadows are constantly being cast over the many other characters. The Help is easily the most problematic films from 2011. Yet there is something about this movie that I do enjoy. I don’t care for characters like Skeeter, the young and alarmingly clueless journalist played by Emma Stone. Instead I’m drawn towards Aibileen and Minny. Viola Davis and Octavia Spencer give incredible depth to these characters and it is because of their performances that The Help has any merit. The film’s best scenes are those that focus solely on the maids and their collective strength. Everything that is simplified in The Help is magnified in Meek’s Cutoff. Kelly Reichardt’s revisionist western centers on the actions of women, their daily lives and conversations. We are rarely shown the actions of their male counterparts, unless those actions cause problems. The survival of the wagon train depends on the women working together, which at times means ignoring the ideas of men. Meek’s Cutoff and The Help, an unlikely air for comparative study – and yet, voila. I love that closing bit about the women. The best part about Tinker Tailor Soldier Spy is how Smiley realized that he was one of Control’s suspects yet he takes that news professionally. i still haven’t seen meek’s cutoff, but i hear great things about it, as you’ve mentioned. loyalty was such a strong concept this past year, and you really highlighted that well. although i think it’s best done in the artist, the films you’ve used really worked for this piece. I agree. The Artist is the best and most straightforward example of loyalty. Not only because of Peppy’s dedication to George but also because of how his chauffeur and dog never give up on him. “Everything that is simplified in The Help is magnified in Meek’s Cutoff.” Ah, that is magic to my ears. I’m going to see if we can get that on the DVD cover.